Hope Christian Trust | Zababdeh Community Centre. Find the centre on Facebook (search under Zababdeh Community Center). The Hope Christian Trust help to support women in the West Bank village of Zababdeh as they celebrate and remember worldwide Women’s Day. The image above shows the beginning of a monthly meeting, led by a Christian female psychologist, talking and discussing issues related to family life and the problems of living as a Christian in Palestine today . 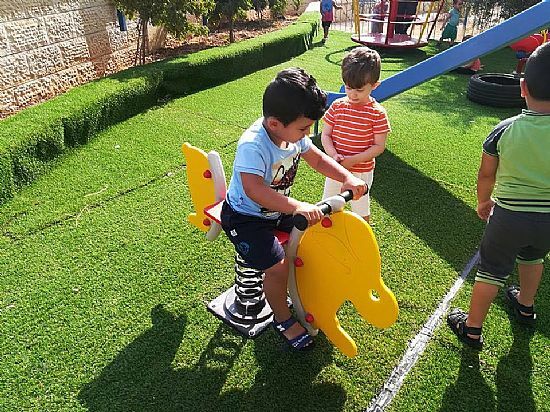 Children at the Zababdeh Centre enjoy the new play area which was 50% funded by the Trust. 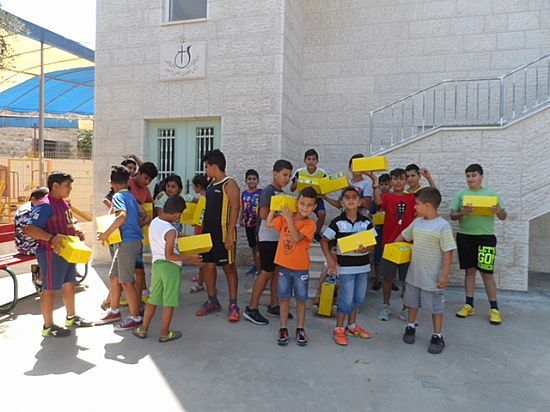 "Good news" - "A fun filled day for the children at the centre.Summer camp has just finished with over 100 needy children attending.The " goody boxes" have been provided by the Samaritans Purse organization. (See below) how the centre was built - a step forward in faith! The early days - foundations laid - construction started. Philippians 4:19 " And my God will supply every need of yours according to his riches in glory in Christ Jesus." 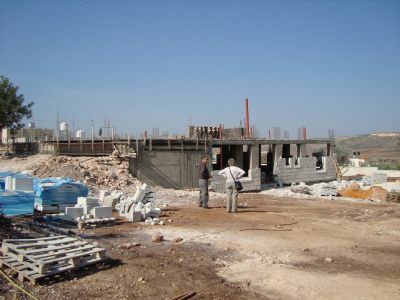 The Centre in Summer 2012 - "Taking shape" - Praise the Lord! Proverbs 24:27 " Prepare your work outside; get everything ready for yourself in the field, and after that build your house." Major support for the centre comes from Tabitha Ministries linked to the Anglican Church in The Hague, Holland. 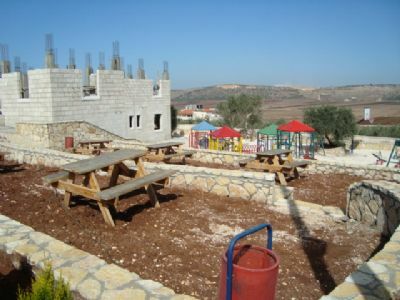 The Hope Christian Trust has been instrumental in raising funds (over £10,000) to build an outside playground area, to dig a cistern for the centre and also to provide funds for summer schools in the area. Support is sought from donors to give one month of running costs estimated currently at £2,500. The Hope Christian Trust is committed to giving at least two months of support and individuals, charities and churches are asked to partner with Tabitha Ministries and take responsibility for one month of support for the next five years to help the ministry to become strongly established and self sustaining. 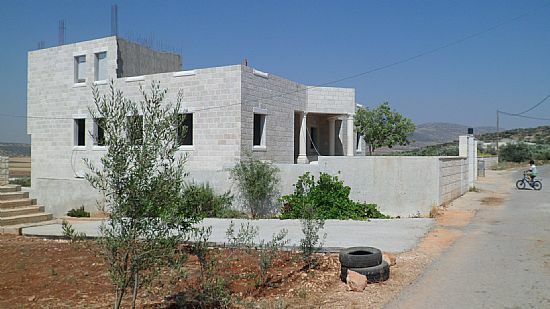 Substantial funding is also sought to finish the first floor accomodation facilities for visitors and for volunteers. (Contact the Trust for details). Up and running "Praise the Lord".